Philips Deluxe Collection Multicooker retailing at SG$369 that comes with a power between 910W - 1090W (depends on the selected cooking method) and capacity size of 6.0L. With its user-friendly touch screen digital control panel, everyone at home including kids can help up to whip up a quick and healthy meal with just a few touch on the buttons. Potato and radish are perfect ingredients to add into Beef Stew because they can really adsorb the flavor of the dish and somehow to thicken the sauce too. Beside the two onion and tomato also helps to blend in some slightly sweet and sour aftertaste. This is the first dish I test with my new cooker because I always wanted to make a good beef stew but end up the meat was rather a bit tough even after long simmering time on stove. But now with "pressure cook" function I can easily enjoy this comfort dish in about 45 minutes and it comes with soft and tender meat texture too. Watch how we prepared this quick and easy Beef Stew. 1. To start with select "SAUTE/SEAR", set cooking time for 6 minutes and press "START". In the inner pot add cooking oil and saute potato and carrot for 3 minutes. Remove and set aside. 2. In the same pot add in 1 teaspoon of oil and saute ginger, scallion and cinnamon stick (and chilli if using) for a minute before adding beef (you can choose to blanch the beef in boiling water before using to remove any blood or dirt residue). Give it a quick stir then add in seasoning in sequence shown above. 3. Next stir in radish follow by water (cover the mixture) then close and "lock" the lid. 4. Select "BEEF/LAMB" and press "START". The cooking time will be 30 minutes and the cooker will automatically built up the cooking pressure shown on the display menu. 5. During the last 10 minutes of cooking time, select "Add Ingredient", the current cooking process pause and the cooker will automatically release pressure to "ZERO" then you can unlocked and open the lid to add in potato, carrot and tomato. 6. Close the lid and turn the handle clockwise to "Lock" and the pressure cooking program will resume cooking until it finishes. 7. Once the cooking process completes, the pressure will be released automatically again, follow by beeps and the "Lid unlocked" indicator blinking on the display screen. Carefully unlocked to open the lid and remember to avoid the hot steam from the cooker. I have cooked and shared many easy Chicken Rice recipes either using rice cooker or stove method. In this recipe we continue to test out the cooker by selecting "RICE" function where it takes a preset 14 minutes cooking time with 30 kPa pressure. The texture of the rice is almost the same as those store bought and the half portion of chicken is pretty well cooked (even though it is not boneless) with juicy and tender meat. Watch how we prepared this quick and easy Chicken Rice & Lotus Root Peanut Soup. 1. To start with add ginger, garlic, shallot, sesame oil, pandan leaves and rice (rinse and drain well) in the cooker inner pot (do not close the lid). 2. Select "SAUTE/SEAR", set cooking time for 3 minutes and press "START". 3. Saute the rice for about 2 minutes, stirring in between then add in water and marinated chicken. Close and lock the lid. 4. Select "RICE/RISOTTO" and press "START". 5. Once the cooking process completes, the pressure will be released automatically follow by beeps and the "Lid unlocked" indicator blinking on the display screen. 6. Carefully unlocked to open the lid, arrange bok choy on the rice and drizzle some sesame/shallot oil over it then close the lid and let it stand for 5 minutes before serving (the heat from the cooker will steamed cook the vegetable on "keep warm" mode). Lotus Root Peanut Soup is one of our family favourite but sometime the peanuts tends to take longer time (more than an hour) to become soft when simmering over stove heat. So to test out the "SOUP" mode on pressure cook I decided to use lotus roots, peanuts and beans to compare the result with my usual peanut soup. To my surprise those mentioned ingredients were really soft to bite especially the lotus root and peanut. 1. Blanch chicken in boiling water, rinse and set aside. Soaked peanut and beans in hot water for 10 minutes, rinse and set aside. 2. To start with select "SAUTE/SEAR", set cooking time for 5 minutes and press "START". Add in some cooking oil and saute ginger, garlic, peanut and beans for 2 minutes. 3. Next stir in blanched chicken and lotus root and continue to saute for another 3 minutes then add in red dates, dried fig and water. Close and lock the lid. 4. Select "SOUP/LENTILS", set cooking time to "35 minutes" and press "START". 5. Once the cooking process completes, the pressure will be released automatically follow by beeps and the "Lid unlocked" indicator blinking on the display screen. Carefully unlocked to open the lid and remember to avoid the hot steam from the cooker. Bittergourd Chicken Soup is one of the soup which I learnt during my Taiwan trip years back. This soup is often serve during hot summer because bitter gourd has the effect of clearing away heat and detoxifying the body. Therefore I often boiled this soup for my family and sometime I will add in some pineapple to enhance the taste so as to mask the bitterness. Now with this new cooker it makes soup preparation easier by by just adding all ingredients into the pot, select "SOUP" function and it will cook automatically without you checking on the stove heat or worry the soup might dry up. Watch how we prepared this Bittergourd Soup. 1. Blanch spareribs or chicken in boiling water, rinse and set aside. 2. Slice the bitter gourd lengthwise into half, scrap off the seeds and rub it generous amount of sea salt. Rinse and cut it into thick chunk and set aside. 3. In cooker inner pot add in all the above ingredients, close and lock the lid. 4. Select "SOUP/LENTILS", set cooking time to "30 minutes" and press "START". Overall I am pretty satisfy with this new cooker which can helps to prepared quality meals up to 6 times faster and yet without compromising on taste. My family is also amazed with on its multi function cooking technique and they love the tender beef stew as well as Chinese soup. 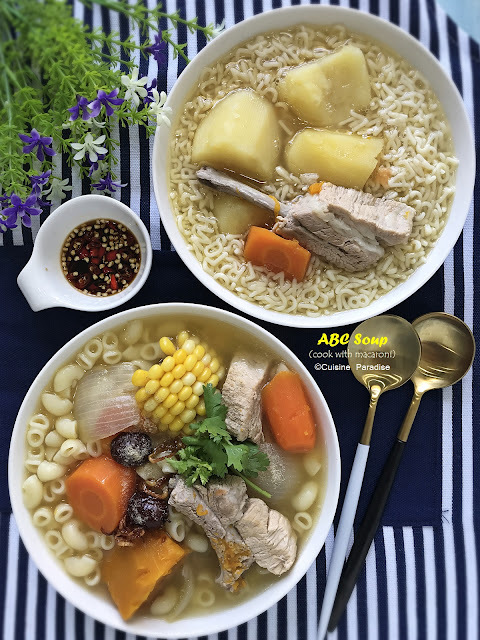 If you are interested to find out more functions and recipe about this All-In-One Cooker, do stay tune for next post as we will be featuring pumpkin porridge and steamed cake. Oh ya there is also a BIG SURPRISED for you peep too. 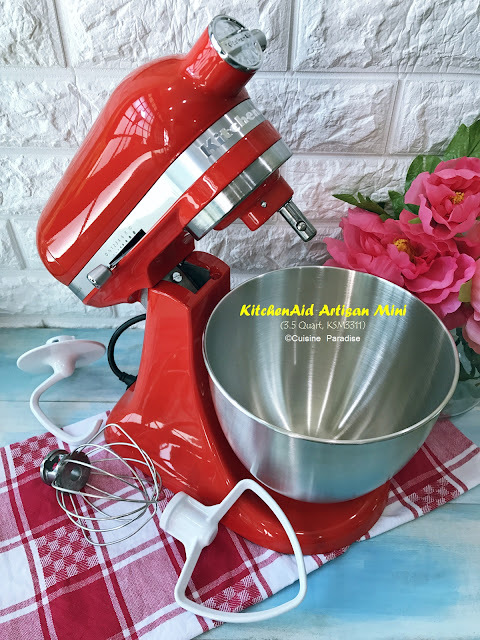 *Disclosure: I was given a set of the new Philips Deluxe Collection Multicooker from Philips Singapore for this review purpose but all opinions expressed in this post are of my own and there is no monetary compensation received.